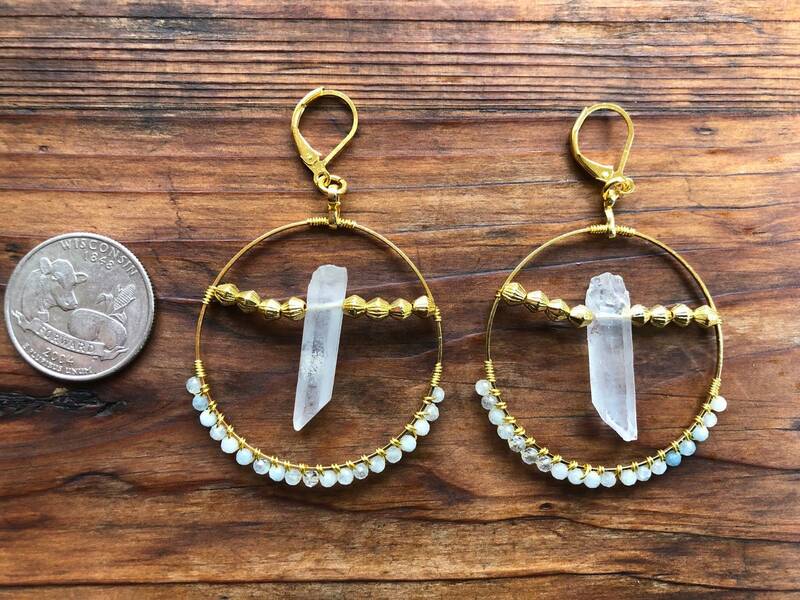 Δ Delicately handcrafted by Grizzy. 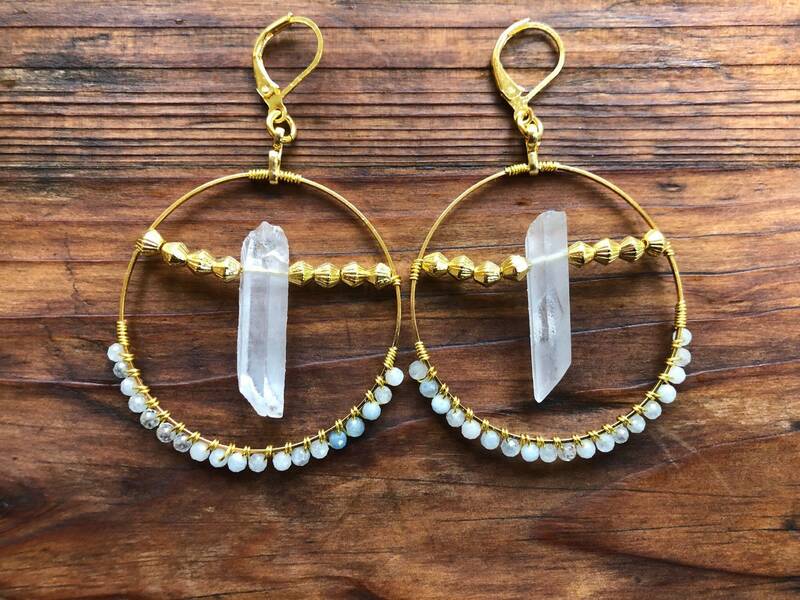 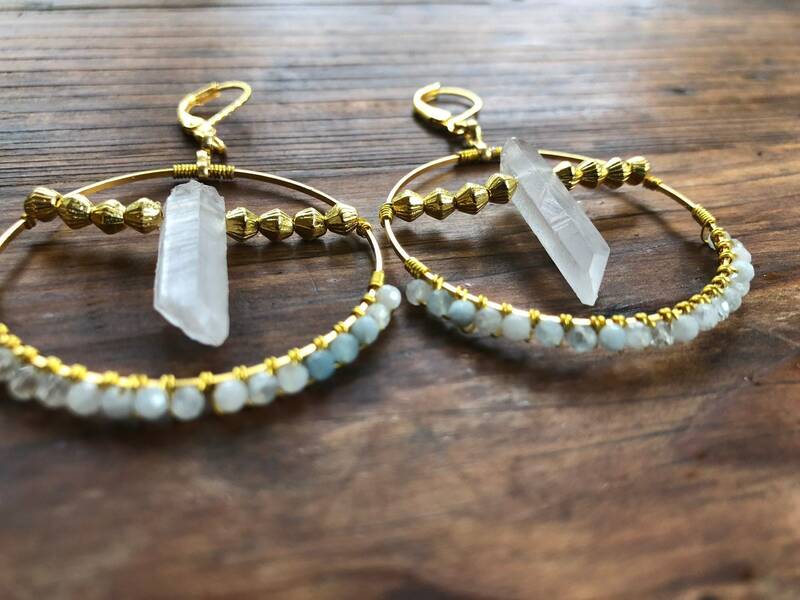 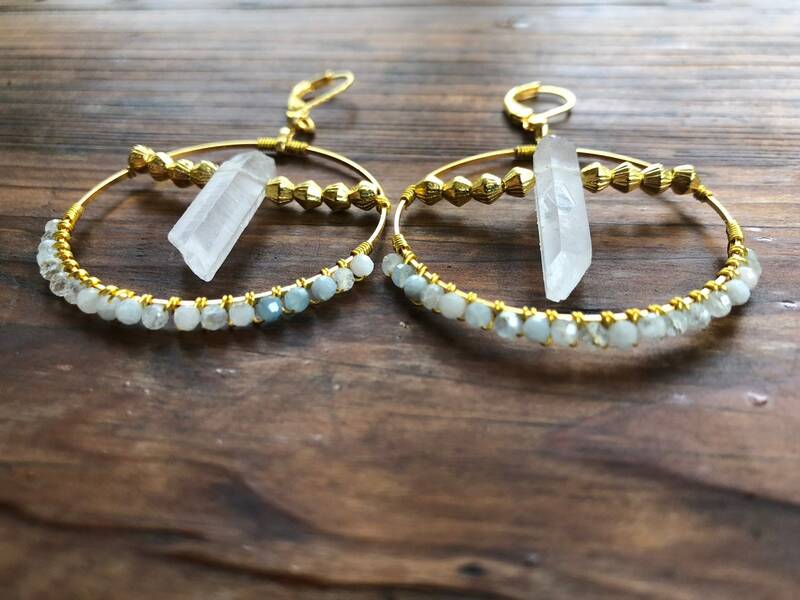 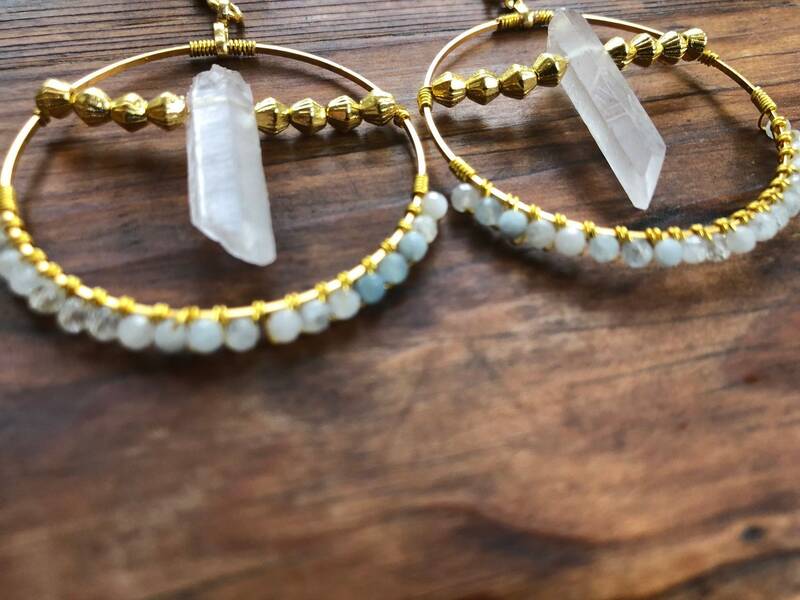 Δ Earrings feature wire wrapped aquamarine and crystal quartz. 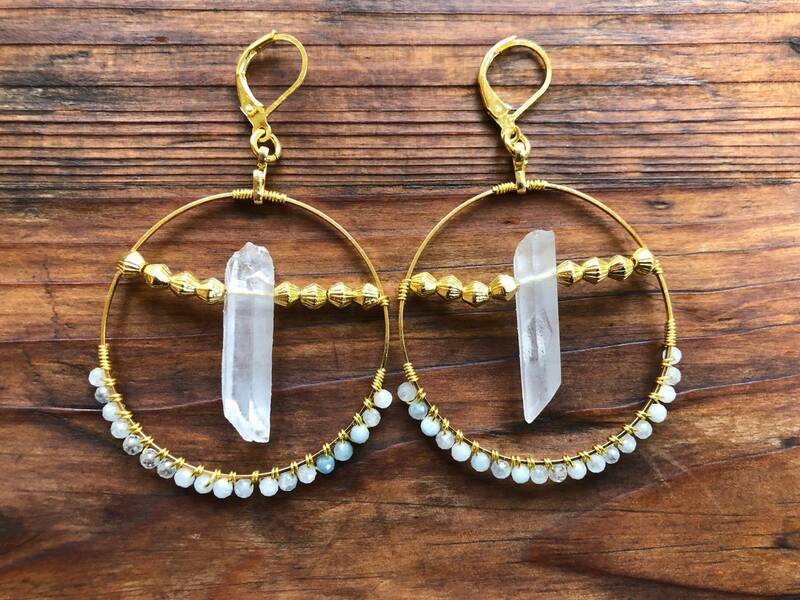 Δ Gold plated ear wire & hoop. 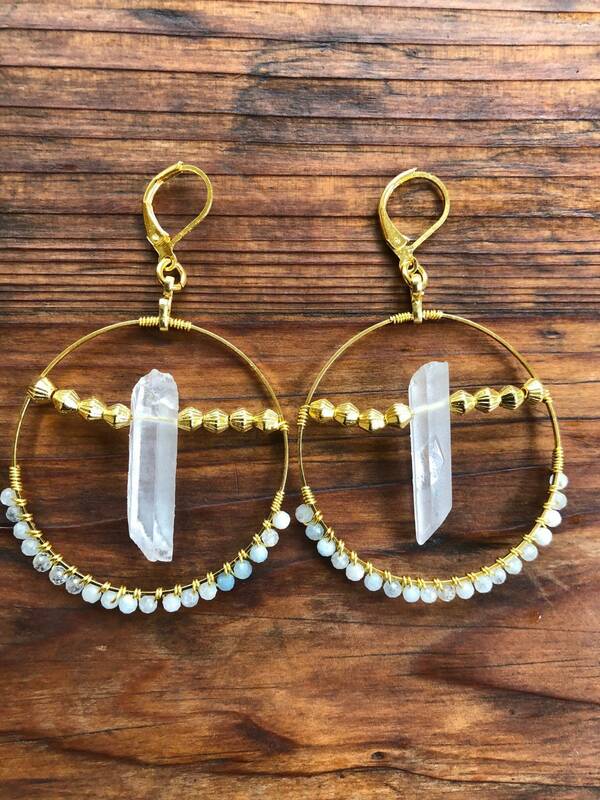 Message me if you’d like a custom pair!